In collaboration with Cyril Keating of Parkside Inc., Moey created the world’s largest World Cup scoreboard, assembled with brand new A8 cars from Audi. 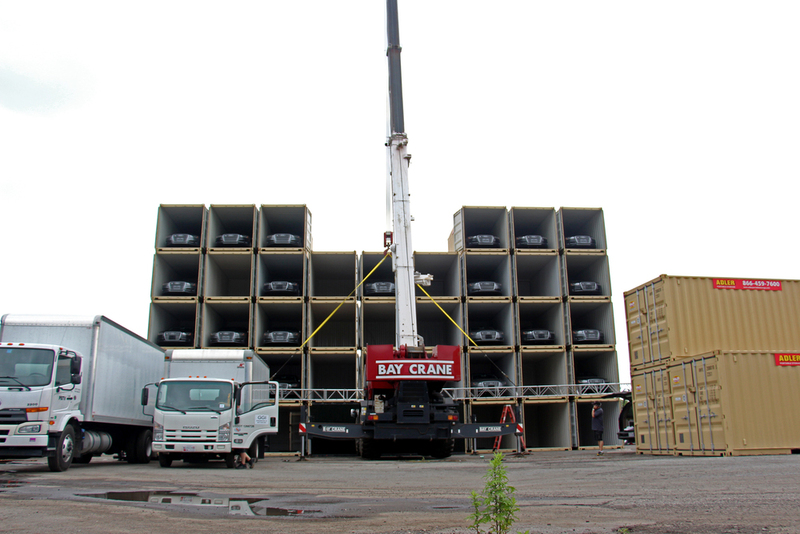 Each car faced out of its own shipping container, stacked 5 stories high. The towering installation stood 40-feet high and 90-feet wide on the East River, facing the island of Manhattan. To control the powerful headlights of each vehicle, the 28 Audi cars were wired and connected to a computer-controlled interface designed and engineered by Moey. 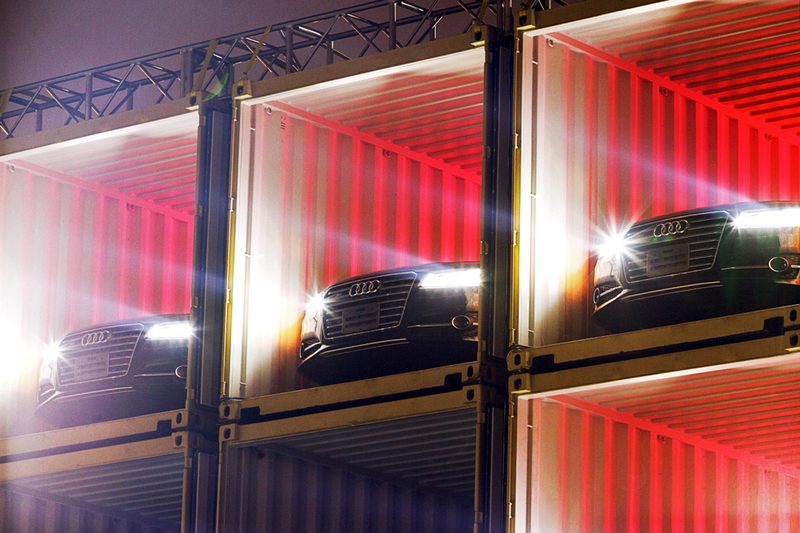 LED based headlights were controlled with system firmware from Audi to achieve an array of luxury effects. To access control of the headlights, Moey teamed up with Audi engineers to find the best location and combination of power settings for the vehicles. Ultimately, the each car was wired with a local control system with a set of power relays that connected back to two control panels in a central room. The control panels were wired for power and signal, with ultimate control from a computer with graphic interface of the scoreboard and associated LED monitor above. The software allowed for easy monitoring of the system, individual car headlight control, container light control, and remote system access.